I like to think that athletes consider their pre-game attire what I consider my airport wear. One's airport ensemble can play a huge role on your actual trip. After-all, it's not the destination but the journey that counts. Pre-game attire is extremely important, it relaxes you, puts you in the zone, and allows you to share a bit of individuality off the court slash field. 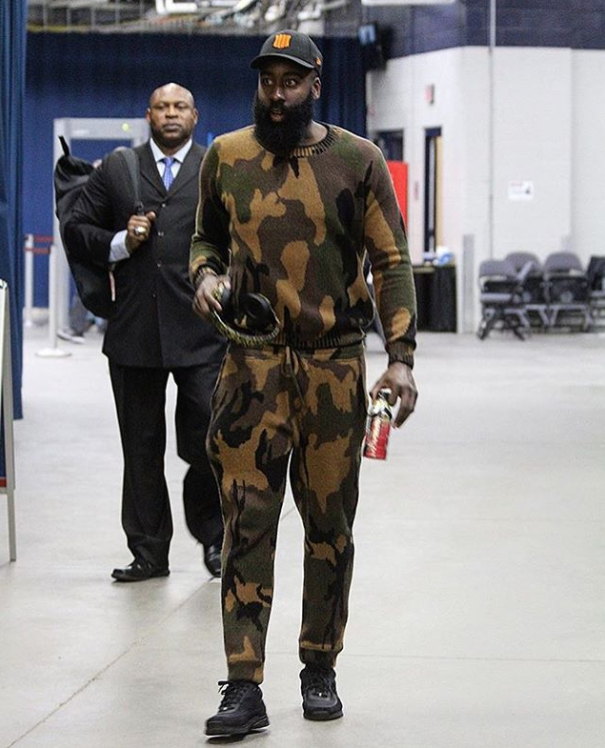 My hometown hero James Harden was in a comfy hunting mood last night on his arrival to Chesapeake Energy Arena to face off the Thunder.